When travelling with kids, it can get a whole lot more expensive. Not only do you have extra people to purchase flights and food for, but even something as simple as finding reasonable priced accommodation is suddenly not so simple anymore. 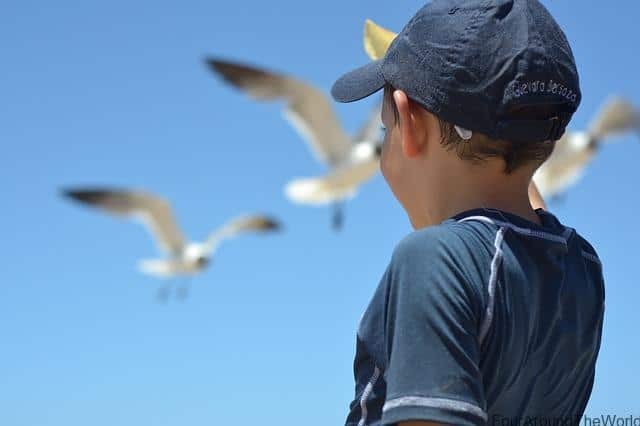 Travelling with kids involves a whole lot more planning and sometimes a whole lot more money, but there are ways to avoid your family travel becoming too expensive. 1.5.1 How do you save money when travelling with kids? For some reason, parts of the world think a family is 2 adults and 2 kids. Anything beyond this and it all becomes overpriced and difficult. Instead of going for the usual hotel style accommodation and having to spend a fortune one a multi bedroom suit (if you can even get one big enough), consider alternative accommodation. Consider staying in a holiday home, designed to accommodate a family. It will be roomy and self-contained as an added bonus and often cheaper than multiple hotel rooms. Kids love anything a little different, so don’t rule out tents, caravans, cabins and dormitory style accommodation along the way. You may not prefer this style of accommodation, but the kids will see it as a new adventure. This way you can afford multiple tents or cabins if needed at a fraction of the cost of a family hotel room. A great way to cut costs on family travel is taking up a kids stay free offer. A lot of resort accommodation offer this, particularly in places in the South Pacific, such as Fiji and Vanuatu. Often the deal includes free meals for kids too, which is yet another big saving while travelling with kids. n if you were to arrange separately. Last minute travel is often heavily discounted too. Personally I subscribe to a lot of travel deal websites and keep an eye out for specials, even when I’m not planning a trip. You never know when you might find a deal too good to refuse. Instead of having restaurant food for every meal, buy the ingredients you need to cook for the family instead. If you have a self-contained apartment, you can put together pretty much anything from the local supermarket, or at the very least, with no kitchen facilities, you can buy bread and meat or salad and put together sandwiches or similar. Food close to famous landmarks or in the inner city of most destinations will likely be more expensive than if you were to buy your food further away. Keep this in mind when trying to cut costs on eating out when travelling with kids. Everyone wants to travel when the weather is great, which means summer in every part of the world tends to be popular, unless you are planning a ski holiday, in which case bring on the freezing weather. Peak season holidays are more expensive. If you are able to, travel during the off season to save money on your family travel. Not only will it be cheaper for flights and accommodation, it will usually mean less crowds too. Bonus! Instead of travelling to destinations known for their high price or poor exchange rate, head somewhere that will give you more bang for your buck. When your dollar goes further, you can have a whole lot more fun without worrying about the high price of everything. If you are planning to fly, be sure to check out our tips on saving money on flights to cut your airfare flights. Airfares add up so fast when you are travelling as a family. 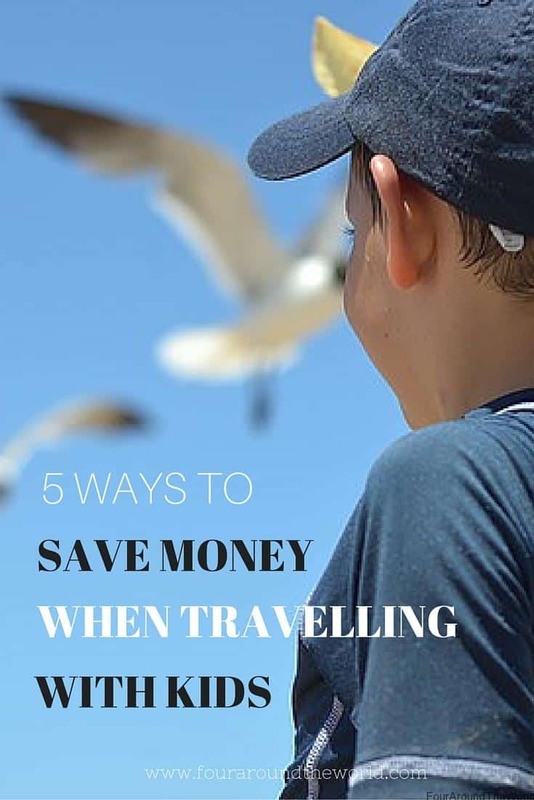 How do you save money when travelling with kids? Great tips….we do a lot of camping and four wheel driving so we have a fridge in the back of the car and a picnic bag so we take our own food and stop pretty much where ever we feel like it. Great tips. We always try to cook for ourselves to reduce our living costs to about the same as they would be when we are at home. It leaves any extra cash we have set aside for other holiday experiences. We are family travelers, a couple with a toddler and we totally align that traveling with kids involves much more planning. Great tips to save during such travel!